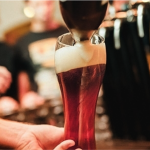 Beer brewing has a long history in Sweden, even predating writing records and up until the 1980s brewing was mostly a matter for three major brewery conglomerates; Pripps, Spendrups and Falcon. 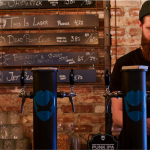 But somewhere in the last decade a new generation of small microbreweries have emerged offering consumers more in the way of choice and many of the beers now produced in Sweden are of the very highest international quality. 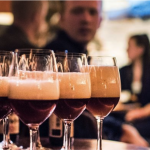 With this tour we will take you to one of these new up-and-coming microbreweries and introduce you to the best of Swedish beer and craftsmanship! So come along and enjoy some of the finest beers in Scandinavia, produced with carefully cultivated brewing yeasts. Our brewing master will not only treat you to an exquisite beer experience but you will also learn so much about drinking and serving techniques. 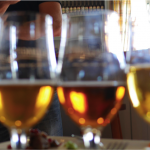 We guarantee you the perfect start of your evening with this Swedish beer experience! After the tour you are welcome to stay at the bar and enjoy discounted drinks! Tours start at 5:00pm Tuesdays, Wednesdays, Thursdays unless you request a private tour where we can accommodate your preferred starting time.